I rose this morning to attend an off-campus meeting—one of the only commitments for today, it seemed, that had not been cancelled. I locked my door and stepped outside like usual, but turning away from my apartment door and towards campus, I set eyes on a view unlike anything I’ve seen in my four years here at Purdue. Today, our campus is quiet. Empty. It almost feels wrong to be outside. Though Andrew was the only casualty during yesterday’s tragedy, we’ve all been shaken in different ways—whether from losing faith in the procedures upheld by the university we call home, being driven to question why tragedies like this happen in the first place, or through mourning the loss of a friend for those who knew Andrew well, or even at all. 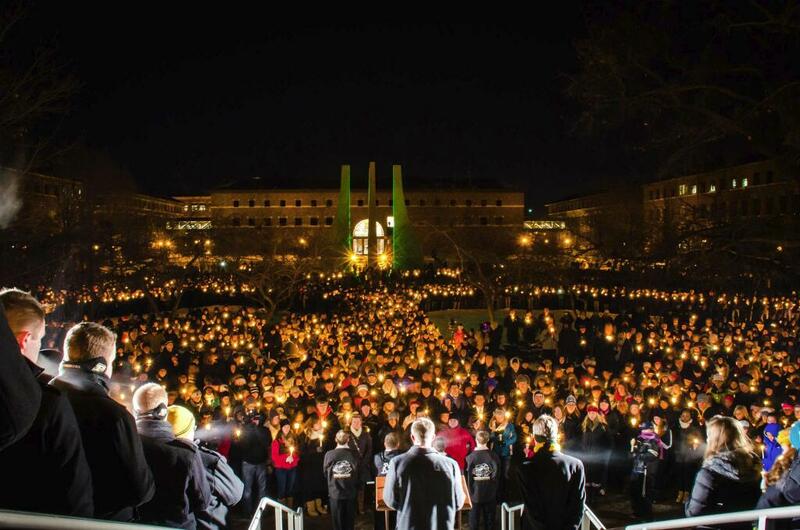 Within the past 24 hours, the Purdue student body has demonstrated an unwavering solidarity by coming together not only at the candlelight vigil last night, but through all the small gestures reaching out to each other in-between. Though the threat to campus is gone and the panic has passed, many of us find ourselves stuck in limbo today, unsure of how to feel, what to do, what is appropriate; in our own ways, we are all coping. Throughout today, tomorrow, and the following weeks, it is important to remember that when tragedy strikes, everyone handles grief differently. As the UCLA Dual Diagnosis Program states, “Coping is identified as being either active or avoidant. Active coping strategies involve an awareness of the stressor, followed by attempts to reduce the negative outcome. By contrast, avoidant coping is characterized by ignoring the issue, often resulting in activities that aid in the denial of the problem”. There are 9 identifiable coping mechanisms, of which you and fellow Boilermakers around you may be implementing one or many. Personally, I’m a mixture of the methods that manifest emotionally; I need to recognize the horror of what happened and let it process respectfully until I can make sense of it in my mind. Yesterday, I was unable to fathom how people were trying to continue on with classes or social activities after the shooting, as if nothing unusual had happened; it felt wrong to see people in the co-rec last night on my way to the vigil, and it felt wrong to listen to Lady Gaga on the radio on the ride home afterwards. These things struck me as disrespectful, that is, until one of my dearest friends confessed to our car full of people that she had gone about her day in exactly that manner—ignoring what had happened, trying just to grasp for normalcy. Because that’s what it made sense for her to do. In that moment, I realized that the people who I had been in awe of all afternoon were no less shaken or disheartened than the people who had been coping like I had. Who was I to judge what helped them to feel at ease? It is this lesson that we all need to take away from the whir of reactions that have been unfolding since yesterday. As someone who has not closed my Facebook, Twitter, or news channel windows ever since I opened my laptop yesterday at 1:34pm, I’ve read more argumentative posts and threads than I think I can handle. We are all striving to deal with this differently, and throughout that process, many people’s coping mechanisms will clash. I encourage all Boilermakers to stop and remember this before we say reprimanding things to one another or consider something to be offensive and strike back without thinking, weakening the bond from peer-to-peer rather than strengthening it. As I was answering questions from inquiring family and friends outside of campus even late into last night, instead of speaking for myself, I found myself answering questions as “we”. The solidarity of our student body had laced itself into my speech without my recognition, but it’s been about 18 hours since I first noticed it starting, and it hasn’t stopped yet. That is what we need to hold onto right now as we try to decide how best to function tomorrow as the university resumes normal operations, despite the fact that our student body will be smaller by one. We’ve presumably all seen Purdue’s official announcements by now, sharing the information for counseling services throughout campus. Below is the information for these services once again, listed as a reminder that there is no shame in seeking out counseling, whether you were Andrew’s best friend, or you heard his name for the first time yesterday when it was released to the press. Remember to be kind to your fellow Boilermakers this week, and always. Boiler Up, and stay strong. RIP Andrew Boldt. Counseling is available from 8 a.m. to 5 p.m. Monday through Friday through the Dean of Students Office, 207 Schleman Hall, phone 765-494-1747, and through Purdue Student Health Center’s counseling and psychological services, 765-494-6995. The health center also has an after-hours number available from 5-8 p.m., 765-494-1724. The Employee Assistance Program is available to see staff, faculty and students for counseling at the Center for Healthy Living, phone 765-494-0111.